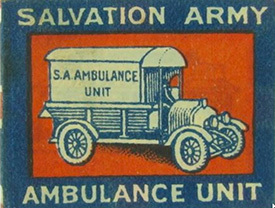 During the Great War there were many fundraising events including a Smoking Fund, Price of Wales Relief Fund and Prisoner of War Fund. 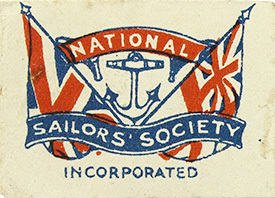 One popular fundraiser was the sale of "pin badges" and flags to raise money in support of the troops – wherever they were serving, to support wounded soldiers, widows etc. The founder of the World War One Flag Day movement was believed to be Mrs Agnes Brysson Morrison, the daughter of an Edinburgh lawyer. 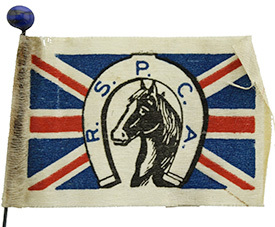 Her Flag-day movement would raise over £25 million pounds before the war's ending. 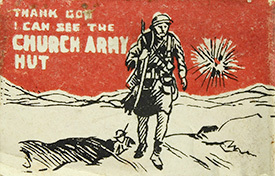 At the commencement of the war the Prince of Wales launched his appeal to support the dependants of the Reserve and Territorial Forces who were about to go overseas. Mrs Morrison wanted to help and reported as saying , “that if a street collection was held it would raise a large sum of money in the least possible time with a minimum of expense and from the magnificent manner which the whole Empire has responded to the call of the Motherland. 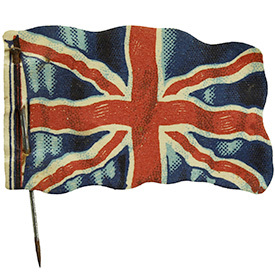 I decided that no more suitable emblem could be sold than the Union Jack.” She placed an advertisement in the Glasgow Herald, announcing a forthcoming ‘Union Jack Day’ and asked readers to “Help those fighting for the colours, by wearing the Colours.” She needed volunteers and the response was overwhelming. On Saturday 5th September 1914 she launched her first collection of the Great War. 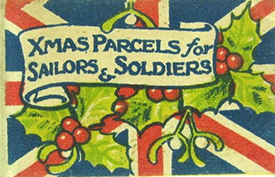 Three thousand six hundred collecting tins and trays laden with flags were issued. Her voluteers with their red, white and blue scarves were supported by the Boys' Brigade and Boy Scouts. 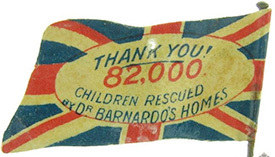 The general public responded by enthusiastically purchasing the penny-flags. 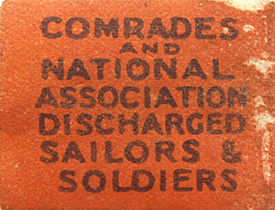 The recipients of money raised through flag selling varied from supporting: Prisoners of War; the work of the Red Cross; peoples of other countries suffering from the war; for sick and wounded war horses; refugees; hospital ships; YMCA Hut Fund; and many many other worthy causes. 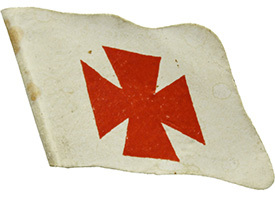 Mrs Agnes Brysson Morrison, whose death took place yesterday, in Glasgow, could claim to have initiated the Flag Day collections by means of which enormous sums were raised for Red Cross and other charities during and after the war. In September, 1914, she organised “Union Jack Day” in Glasgow. 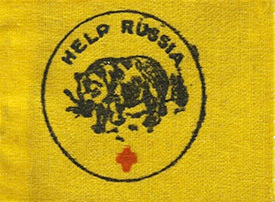 This is said to have been the first occasion on which a flag-day collection was ever made. It was speedily followed by others, and Mrs Morrison personally organised flag-days which resulted in the collection of over £1,000,000 in the United Kingdom. Flag Day collections eventually became so numerous that vigorous protests were raised in various quarters against their continuance, and Glasgow, the city which saw their birth, decided some four years ago, by the vote of its magistrates, to ban them from the beginning of 1931. Among Mrs Morrison’s other interests was child welfare work, and for many years she was closely associated with the Glasgow Branch of the Scottish Children’s League of Pity. She also organised many charity matinees. 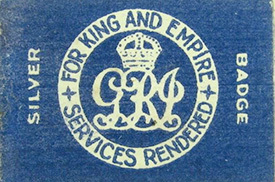 She was created CBE in 1920.